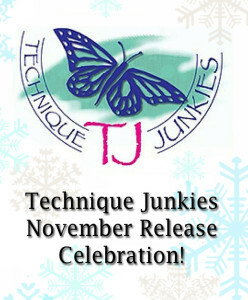 Technique Junkies November Release and a Big Discount! through November 8th! We can all use a little bargain, right? ALL Christmas stamps also SALE at 20% Off! 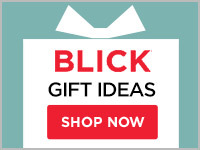 Click HERE to see all of the stamps on sale. 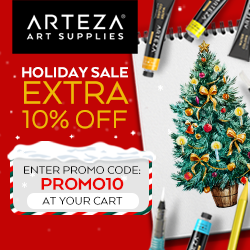 How about an additional 10% off the new release or Christmas stamps? 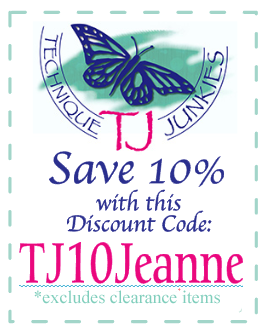 Use code TJ10Jeanne for 10% off! 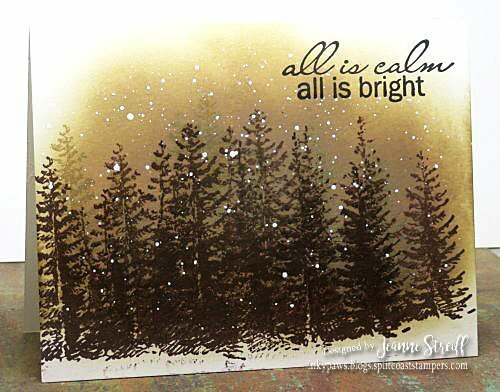 That’s 25% off the November Release & 30% off Christmas Stamps!!! 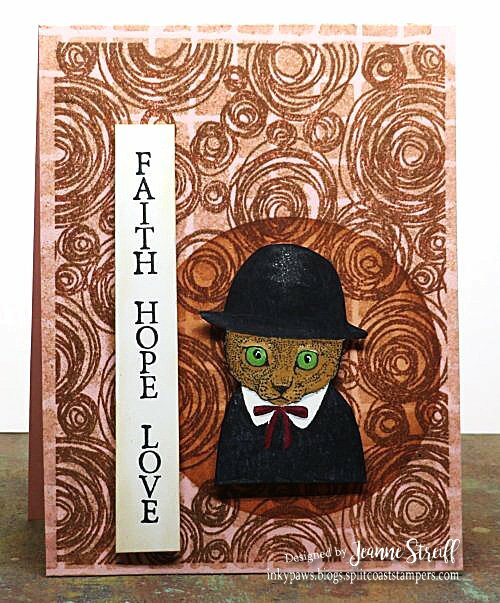 My next card uses Downton Girl Kitty, Scribble Circles, Faith Hope Love, Splatted Grid Stencil, Marvelous Masks -Circles , and Shimmering Bliss in Harvest Sunset. 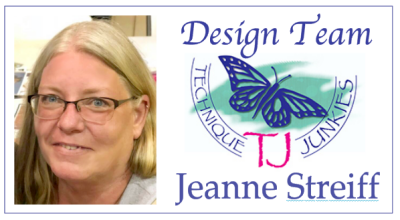 Make sure and head to the Technique Junkies Blog for a list of all the designers celebrating the November Release! I used J20533 Wind Swept Leaves and F20565 Thankful For You for today’s card. 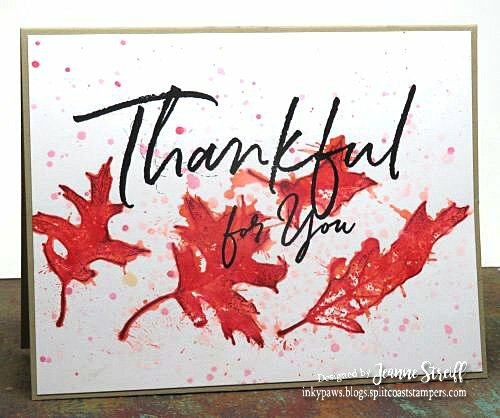 I stamped the leaves with my MISTI on the card and then splattered the card using the same ink watered down.